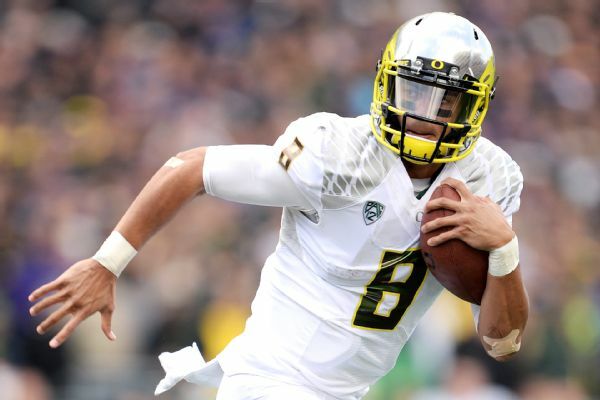 Mariota has everything you ask for in terms of tools from a college quarterback. He possesses a great arm and accuracy with his quick delivery. Along with being a great thrower, Mariota is the best scrambling quarterback I have ever scouted as he shows blazing speed. The tools are not the problem when it comes to Mariota, it is whether he can translate from the Oregon offense to the NFL in terms of reading defenses. Mariota also must protect the ball better as he has accumulated 27 fumbles throughout his college career. Despite the down falls, Mariota is a quarterback that coaches around the league will love to work with because of his great character and elite tools. 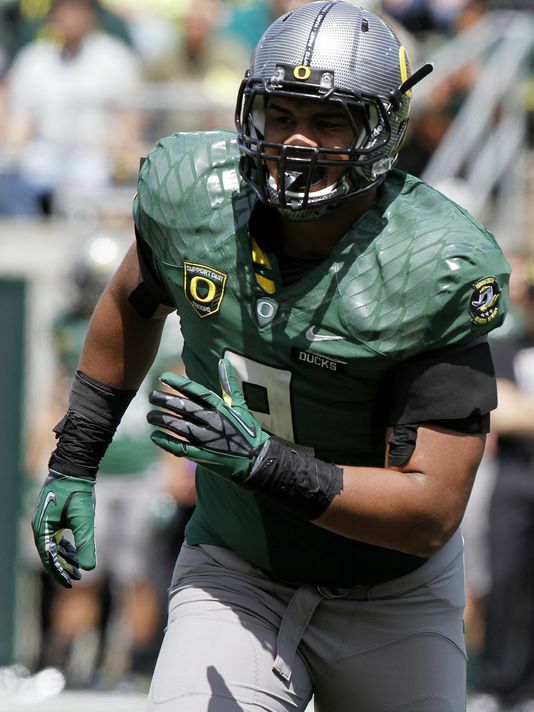 Arik Armstead is one of those boom or bust prospects this year. 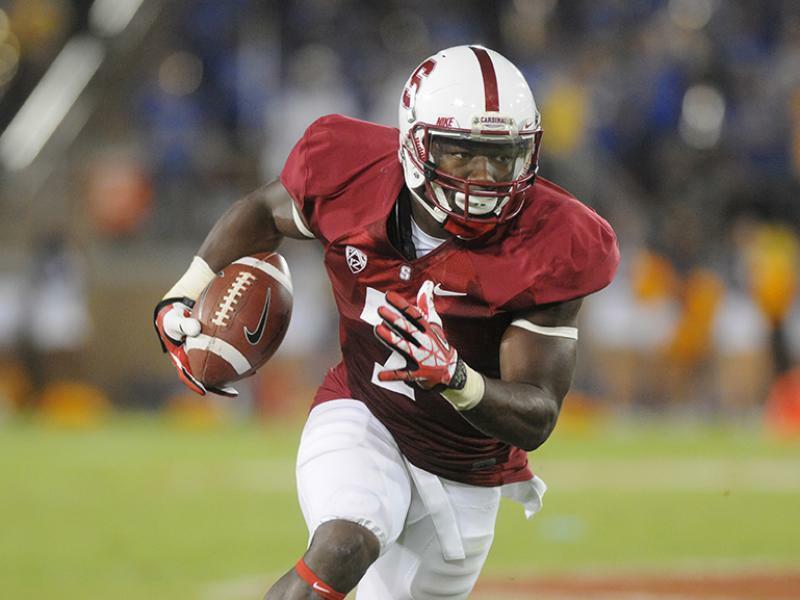 He has top ten potential talent, but played very inconsistently for Oregon this past year. He will flash and totally over power an offensive guard like he did against highly rated Tre’ Jackson from Florida State. Armstead then will have a string of plays where he is nowhere to be seen. A defensive line coach will love to have his kind of talent on his football team, but it will just be a question of whether he can put it all together. At 6’7″ 292 lbs. he displays great athleticism and power when engaged with an offensive lineman. He fits best either as a 4-3 DT or as a 5 technique defensive end in a 3-4 Defense. Their Resume: Alabama has been very impressive since their one loss at Ole Miss. 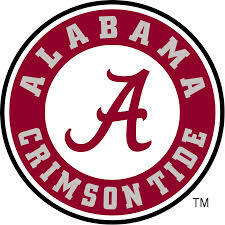 The Crimson Tide has three wins against top 25 teams after a rivalry win against Auburn. A win this weekend will give them everything you look for. Quality wins, only one quality loss and a conference championship in the toughest conference in the nation. They also pass the eye test with a great stretch of games against LSU, Mississippi State and Auburn. What they need to do to make the playoffs: A win against Missouri on Saturday will not only clinch a playoff spot, but more than likely the number one seed in the playoffs. 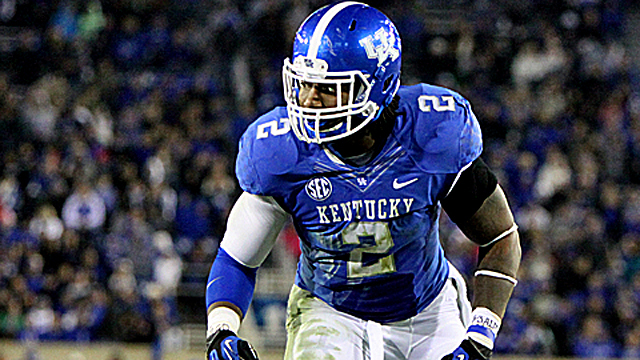 A loss in the SEC Championship would diminish their chances, but not totally put them out. They would need some help most likely two out of these top six teams to lose. Their Resume: They have three top 25 wins and a very good non conference victory against Michigan State. Oregon hasn’t even had a close game since their loss against Arizona beating teams by an average of 24 points. 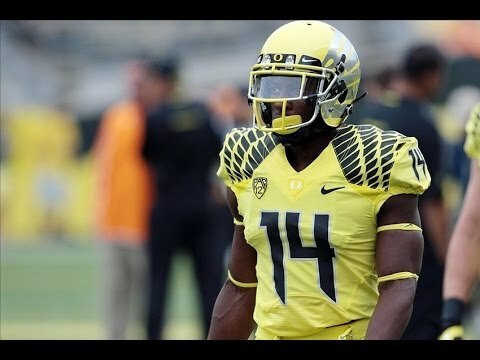 The Oregon Ducks will have a shot at the conference championship against Arizona which will just add to their impressive resume. What they need to do to make the playoffs: Friday is a must win for Oregon against Arizona that will be for the conference championship. If they lose I do not see them getting a shot at the playoffs. With a win I believe they will be right there in the second seed for the playoffs. Their Resume: They’re still undefeated. Florida State continues to find ways to win close games against average teams. They do not have a signature victory as they’ve only beaten the number 19th and 21st ranked team. Notre Dame looked like a signature win, but they have been exposed as an average 7-5 team. They really haven’t passed the eye test, but you have to give them credit for going undefeated. 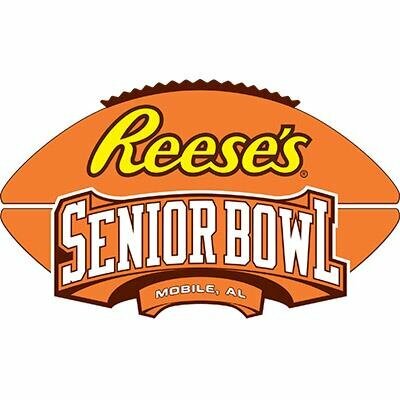 They will have another chance to add to their resume against their toughest opponent yet with Georgia Tech in the ACC Championship. What they need to do to make the playoffs: They need a win and they’re in. Going undefeated and winning the ACC Championship will be plenty for getting a bid to the College Playoff. With a loss I believe Florida State is done and do not have a chance at the playoffs. In case of a loss, Florida State would not have a signature win on their schedule. Their Resume: TCU had a big statement blowout against Texas on Thanksgiving day. They have looked good all season and pass the eye test. TCU also has two top 25 wins on their resume with a very impressive blowout of Kansas State. Their one downfall is losing a close game at Waco against Baylor. Baylor is also fighting for a playoff position, but I believe TCU right now has looked better and has a better resume with their non conference victory against Minnesota. A win this weekend will also give them a share of the Big 12 championship. What they need to do to make the playoffs: The four spot in the playoffs is where things get interesting. TCU has one more chance to be impressive to look good for the playoff committee against Iowa State. I believe they will need to beat them soundly to stay in the top four with Ohio State and Baylor on their heels. If Baylor looks good this weekend it could lead the committee to look at Baylor and TCU as a tie, which I believe Baylor would get the nod due to head to head. Their Resume: Baylor has impressive victories against Oklahoma and TCU, with a chance for a third against Kansas State this weekend. They have one bad loss against West Virginia by fourteen points that I believe holds them back. They also only won by two points against Texas Tech this past weekend. Their non conference also includes SMU, Northwestern State and Buffalo. I believe right now TCU has the advantage over Baylor in the eye test and a better resume. That could change this weekend as a win will most likely give them a share of the Big 12 championship with TCU. What they need to do to make the playoffs: Baylor needs a win and to look good doing it against Kansas State. TCU has looked better than them and they do not have the resume that TCU does. A convincing victory over Kansas State could change that. I believe if it is neck and neck between TCU and Baylor then the victory over TCU gets them into the playoff. Their Resume: Ohio State will have a chance to add to their resume with the Big Ten championship this weekend against Wisconsin. However, they do lack quality wins as the only top 25 victory they have is against Michigan State. They also have a bad loss against Virginia Tech. They have looked good since that loss, but do not have the quality wins to jump Baylor or TCU. Another wrinkle to their resume is that JT Barrett looks to be done for the year and they will have to rely on Cardale Jones. The playoff committee does consider injuries, so I do not believe they will put an Ohio State team without their starting quarterback over Baylor or TCU. What they need to do to make the playoffs: They need to win against Wisconsin and do it convincingly. Cardale Jones must look good in order to pass the eye test in front of the committee. I do not believe they have the resume to pass TCU or Baylor. More than likely I believe they are going to have to rely on a few losses in front of them to make the playoffs. I think they are a distant third behind TCU and Baylor for that fourth spot after the JT Barrett injury. What they have going for them: Alabama has looked like the best team recently with a 59-0 win against A&M, a win at LSU and against Mississippi State. Their one loss was a close game in Oxford against the 8th ranked Ole Miss Rebels. Based on the eye test, leading the SEC and a big win against Mississippi State makes Alabama the top team. What they have going for them: They have three top 25 wins and probably one of the most impressive resumes around. Currently Oregon has taken down the teams ranked 10th, 11th and 20th. Their only loss was a close one against 15th ranked Arizona. Oregon has also been playing extremely well since the October 2nd loss with an average victory of 21.6 points. What they have against them: Oregon really doesn’t have a signature win. They have a lot of good wins, but the lack of a signature win separates Alabama from Oregon. The SEC in my opinion has been a better conference this year then the Pac 12 also. What they have going for them: They’re undefeated. Florida State has found a way to win every game they have been in. They have played some decent teams with wins against Notre Dame, Clemson, Louisville and Miami. It looks like they will run away with the ACC Championship. What they have against them: They do not have a win over a top 25 team. The non-conference win against Oklahoma State looks even worse now that they are 5-5. With this soft schedule, they haven’t looked impressive in their victories. If it was only about going undefeated Marshall would be a top 4 team. 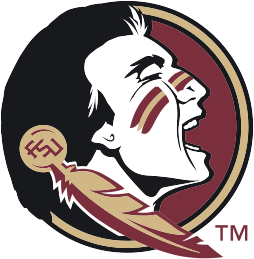 Florida State is in the top four because they are undefeated, but one loss I believe would eliminate them from playoff contention. What they have going for them: TCU has an impressive resume this season. So far they have two wins against top 25 teams Kansas State and Oklahoma. Their one loss was a close one against Baylor in Waco. If they win out it looks like they will be Co-Champions of the Big 12. What they have against them: They stay in the top four, despite their struggle to beat a bad Kansas team. Even though they still won, it does keep the distance between them and Mississippi State much smaller. If they do end up Co-Champions with Baylor the committee will most likely look at Baylor as the champions. What they have going for them: They are a one loss SEC West team whose only loss was to a very good Alabama team. They have a quality win over Auburn and could get another quality win in the Egg Bowl over Ole Miss. Mississippi State passes the eye test too with Dak Prescott and a very good defense. What they have against them: Just like Alabama they currently have only one win against a top 25 opponent. However, they are not in position to play in the SEC championship. With one of the criteria the committee looks at being conference champions, it could leave Mississippi State out of the top four teams. Right now they are on the fringe with their resume, but there is a possibility they get pushed out by a conference champion. What they have going for them: Baylor has two impressive victories against Oklahoma and TCU. The win against TCU means if they win out they will be looked at by the committee as the Big 12 champions. Other than their one loss Baylor has looked pretty impressive winning at an average of 34.5 points per game. Baylor still has Kansas State left which would give them another impressive victory. What they have against them: They have one bad loss to West Virginia where they were beaten by 14 points. Baylor also has had a very soft non-conference schedule playing SMU, Northwestern State and Buffalo. The main thing that will hold them back is a combination of the weak schedule and loss to West Virginia. What they have going for them: Ohio State has played much better since the loss to Virginia Tech. JT Barrett has improved throughout the season which has led to their 8 game winning streak. They also have a solid win at East Lansing over Michigan State. Right now it looks like they are in line to be in the Big Ten championship against Wisconsin. What they have against them: An early loss against a bad Virginia Tech (5-5) team at home is their killer. They also only have the one signature win against Michigan State on their resume and The Big 10 is not as strong as the other major conferences so their soft schedule plays against them. They will need to have an impressive finish to the season to be in that final four.